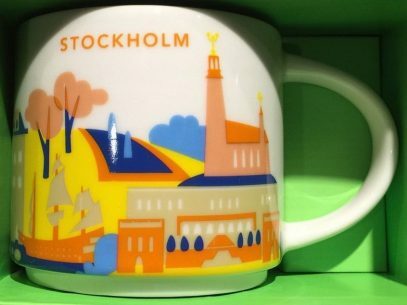 This Icon mug came from Stockholm, Sweden. Blue is used as its theme color. 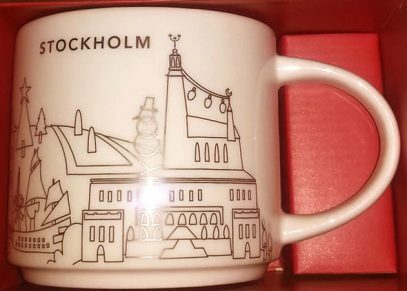 City Hall can be seen on the front of the mug and Royal Palace on the back. This Icon mug came from Malmo, Sweden. Blue is used as its theme color. Øresund Bridge can be seen on the front of the mug and Geese on the back. This Icon mug came from Gothenburg, Sweden. Blue is used as its theme color. Poseidon Statue can be seen on the front of the mug and Harbour Skyline on the back. 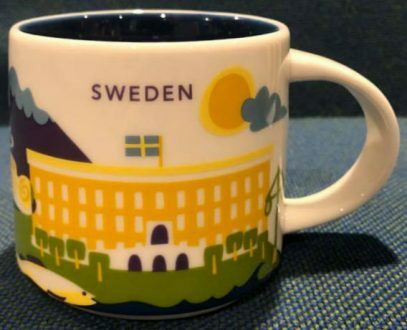 This Icon mug came from Sweden. Yellow is used as its theme color. Dalecarlian Horse can be seen on the front of the mug and Swedish Prairie on the back.